Wall to Wall student work display kit with 2 meter cable & 8 bulldog clips. 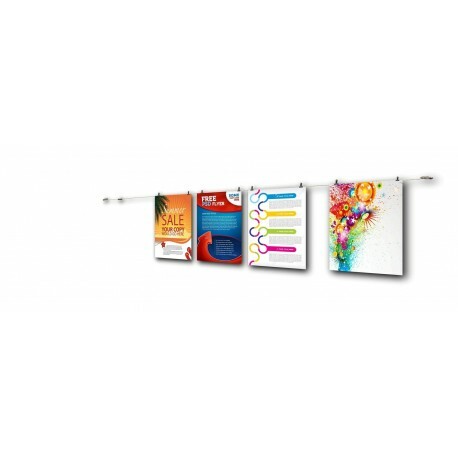 With wall to wall student work hanging kit you can hang 8 small worksheet/posters or 4 big worksheet/posters. 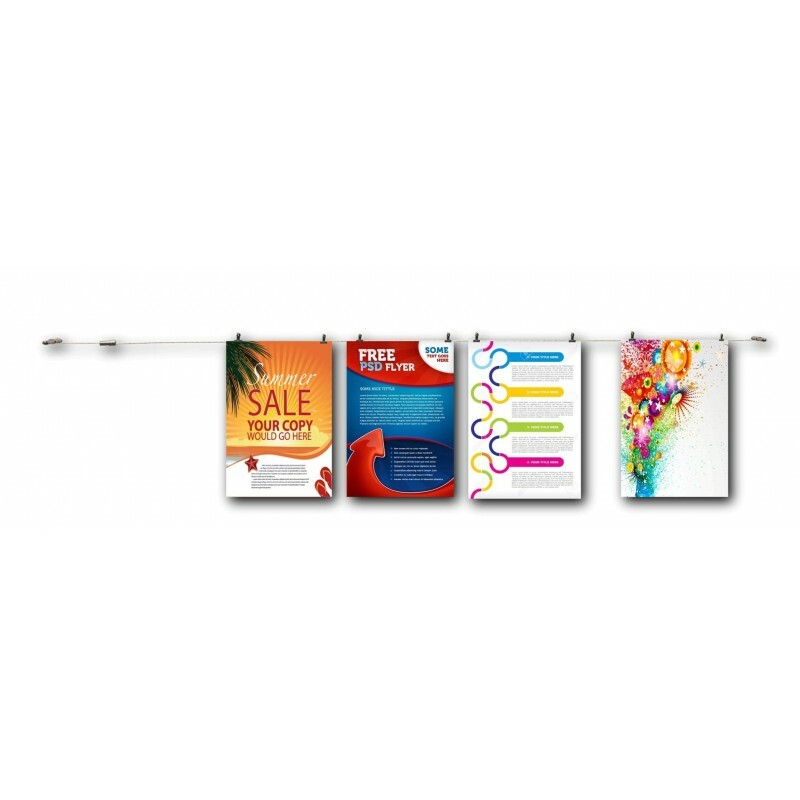 length of steel cable is adjustable which you can cut to size. Use this hanging kit for displaying student work at high school. 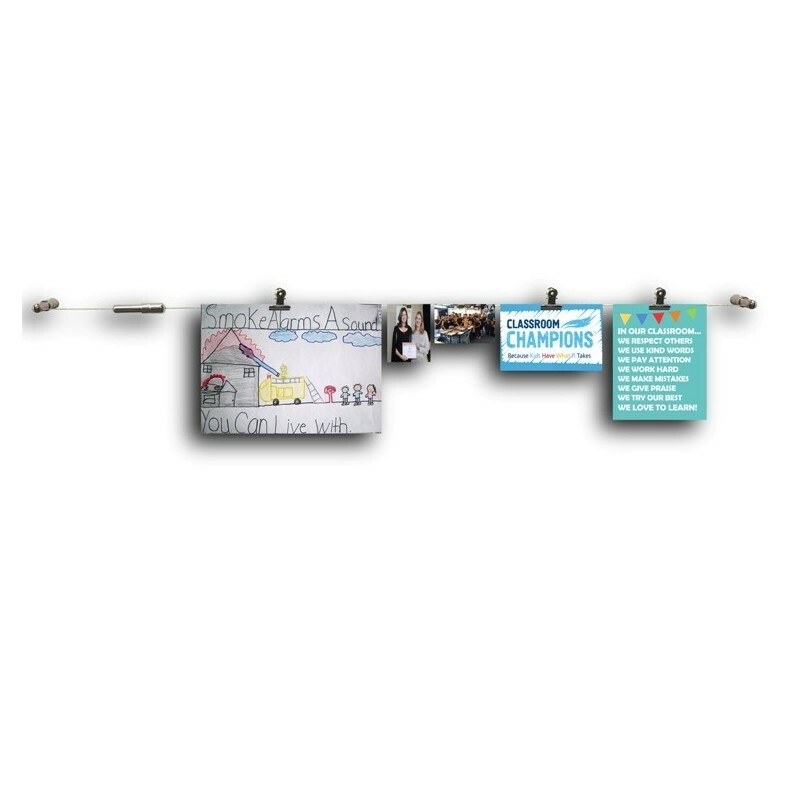 Students and school teachers can buy this kit who are looking for creative ways to display student writing, student paintings, student drawings, art works, classroom notices etc.